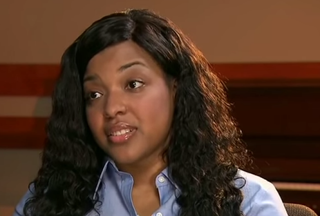 Amber Vinson, the second nurse at the Texas Health Presbyterian Hospital in Dallas to contract Ebola from “patient zero” Thomas Duncan, will continue to help find a way to battle the deadly virus by donating her blood in hopes of finding a cure, USA Today reports. Vinson’s blood will be sent to drug-development company XBiotech. "We assume that the people who survive Ebola have survived it largely because they have some very good antibodies," John Simard, the company's CEO, said, according to the newspaper. "I'm one of the few people here in the States that can provide the blood for research," Vinson, who contracted the disease last year, said. "Maybe something wonderful can come out of it, so I want to do my part to help. "Before I talked to any company, people said, 'You should sell your blood for however many hundreds of dollars,'" she added. "But that's not where my heart is." However, as part of her agreement with XBiotech, the company has promised to donate 5 percent of gross revenues on any Ebola drug developed from her blood to care for patients who cannot afford treatment. "We're going ahead with this project on the basis of making it available to everyone—one way or another," Simard said, USA Today reports.